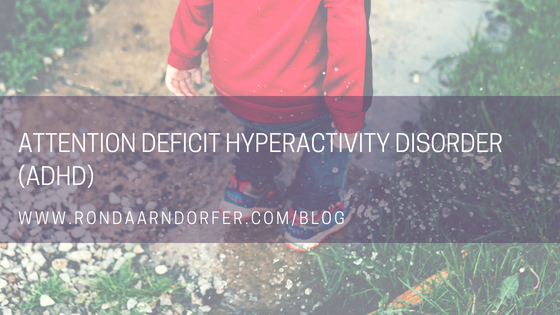 Attention Deficit Hyperactivity Disorder (ADHD) is the most common deficit diagnosed amongst children, millions of children, but the etiology is still not well understood. ADHD is a highly heritable disorder. However, it can also be acquired, and some individuals have a combination of genetic and acquired ADHD . Both of these types present with the exact same symptoms, so at this time it is challenging to determine the true cause. Scientists at the Massachusetts General Hospital have learned that ADHD does run in families. Over 25% of the first-degree relatives of the families of ADHD children also had ADHD, therefore if a child had been formally diagnosed, there is a five-fold increase in the risk to other family members . Researchers also found a link between mothers who smoked cigarettes or used alcohol while pregnant and the subsequent development/diagnosis of behavior and learning problems in their children. Some fingers also point to lead exposure, and others to a traumatic brain injury such as a brain tumor, stroke, or serious trauma (blow) to the head . We can easily begin to see, there is a connection to the brain, primarily the frontal cortex, which is responsible for problem-solving, memory, impulse control, social behavior, and the most commonly tagged symptom of ADHD, attention. The frontal cortex of the brain seems to be smaller and does not develop in the same way as those that do not have the disorder. The chemicals dopamine and norepinephrine are chemicals that help brain signals to transmit messages in the brain, and these signals seem to work differently in those with ADHD. Scientists know there are differences in size and development, along with chemical messengers, but it is not fully clear how all of these differences lead to the cause and the symptoms of ADHD . Have you heard that term your second brain before? 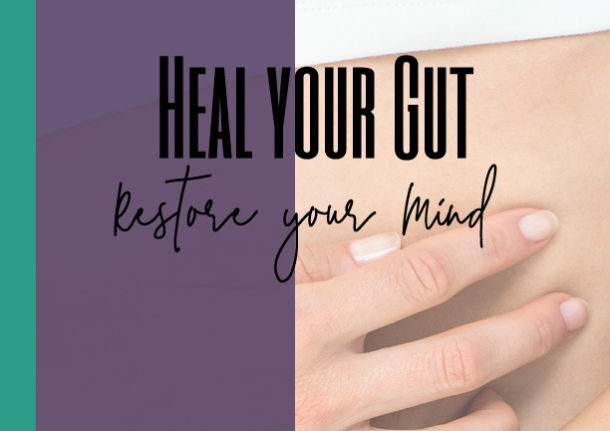 Contrary to what most know to be our one and only brain located in our head, our gut actually holds what is called the “second brain”. 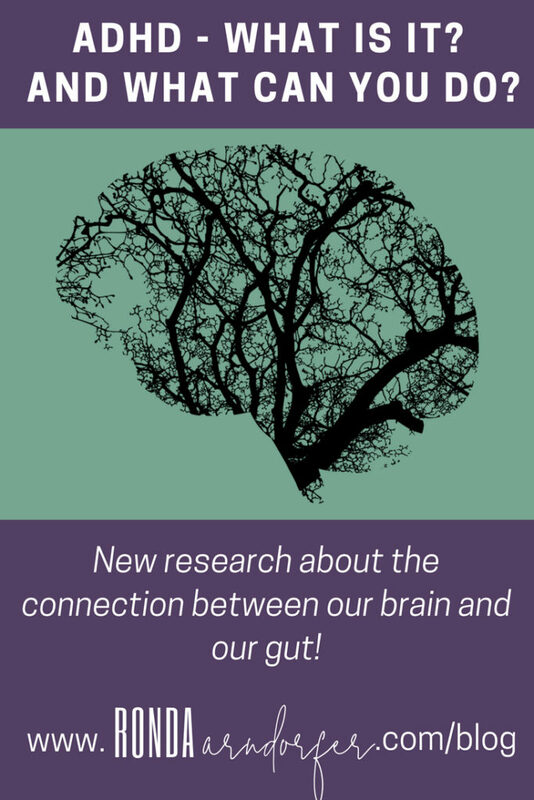 “The gut-brain axis (GBA) refers to the close link and constant communication between our ‘two brains’: the one that everyone knows about in our head, and the one that we’ve just recently discovered in our gut,” explains Shawn Talbott, Ph.D. .
Talbott states that there is a series of complex nerves surrounding our gut called the enteric nervous system, and therefore working to heal the gut will have a profound effect on the central nervous system (CNS) as a whole. Anyone that suffers from ADHD knows how challenging life can be. But there are options for improvement and an exceptionally formulated product line that can help to fill some of the gaps. I have personally placed much of my focus on those suffering from ADHD to help improve their quality of life. I have seen amazing results and am inspired to keep that momentum going. If you would like to see how this protocol can help you or a loved one, please reach out to me @ Ronda@RondaArndorfer.com or click here to book a call. Voeller, K. (2004) Attention-Deficit Hyperactivity Disorder (ADHD) Journal of Child Neurology. 19(10):798-814.